Do you like fish? What about the smoked types? I love smoked salmon. As for me I could eat it few times a week and I never get tired of it. You can combine it with so many ingredients to give it always a new taste and look. 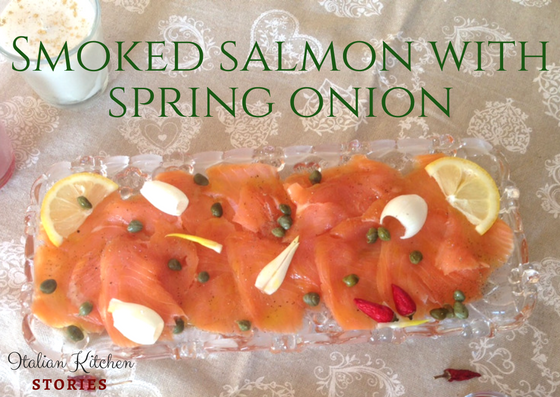 Recently, I have discovered this smoked salmon with spring onion recipe and I looove it! 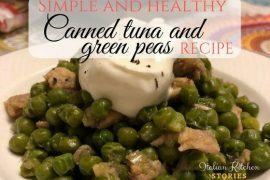 For sure I recommend it for a quick and healthy dinner or lunch. For sure your girlfriends would enjoy it as a Sunday brunch too. Light yet flavorful, this salmon recipe will leave you speechless. 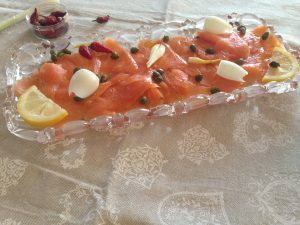 How to prepare this delicious one plate dish? 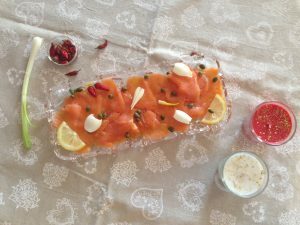 Place the salmon slices in a wide, spaced plate, slightly overlapping the slices. Sprinkle with fresh ground black pepper and lemon juice. Cover it with aluminum foil and let it rest in the fridge for at least an hour. Clean the spring onion bulbs cutting it slightly in the middle and opening it. Leave out all the green leaves and use only the white part. Cut them in half lengthwise and cook for about ten minutes in a little boiling salted water. Drain and leave to cool completely. When serving, place the onions on the salmon, add a few grains of green capers and a drizzle of olive oil. Decorate it with a few slices of lemon and dried red peperoncino peppers. Serve cold with salad, bruschetta and some soft cheese. It will feel like a feast and you will love every bite. 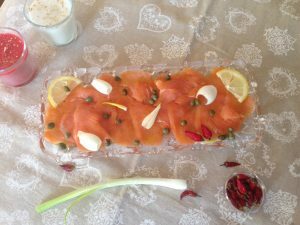 Enjoy your smoked salmon with spring onion brunch!